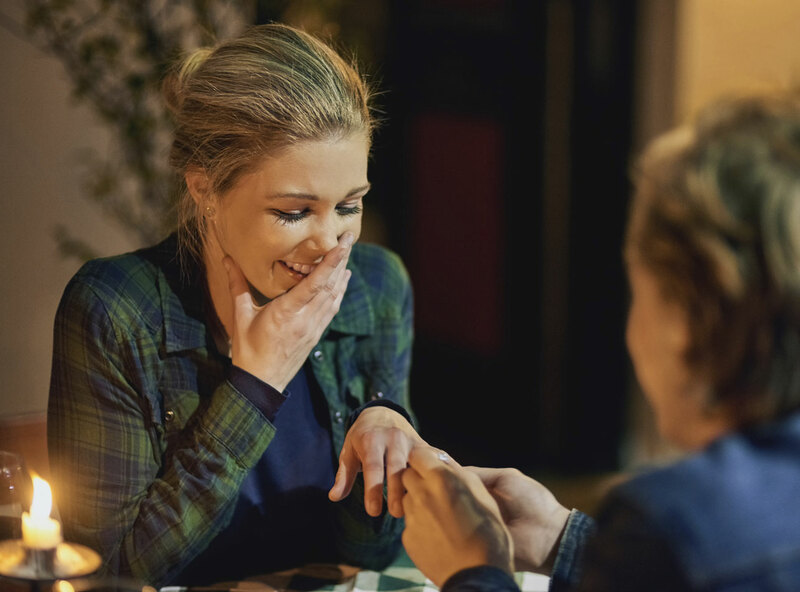 Do you often stare at your engagement ring, just to enjoy the sparkle? 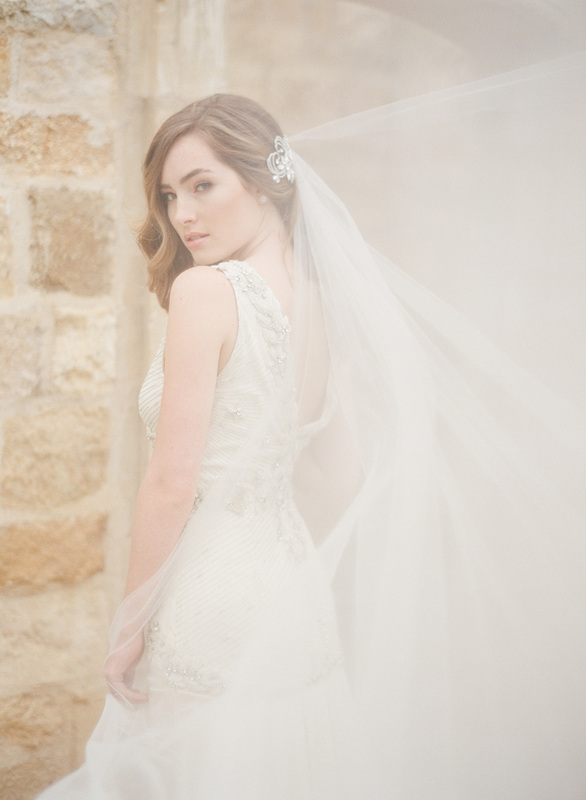 Would the phrase over-the-top accurately describe your wedding gown? 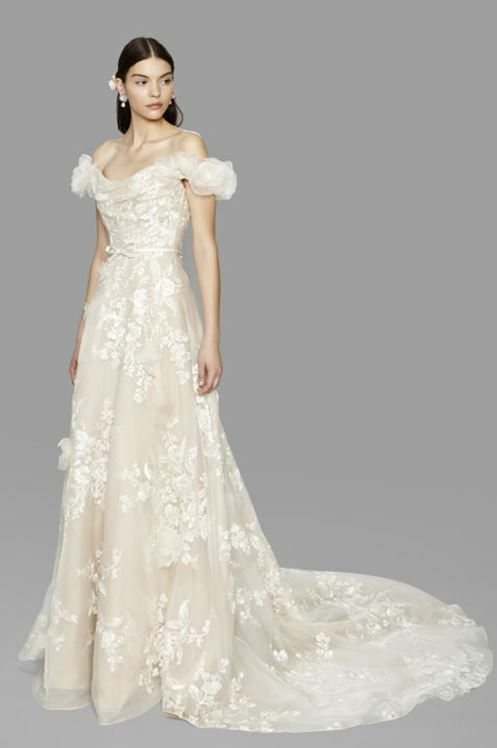 If you’re a glamorous bride, you love a formal and elegant style. 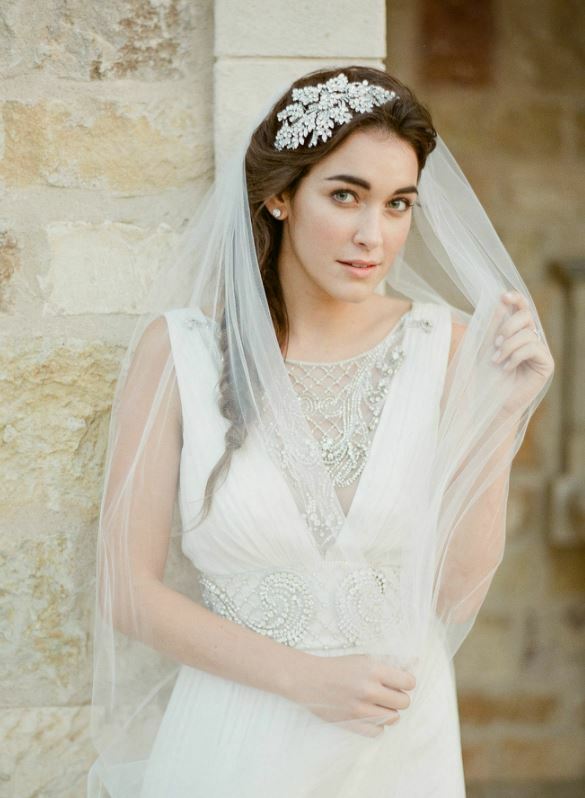 Eye-catching accessories complete your dream wedding outfit, and your veil makes the biggest impact! 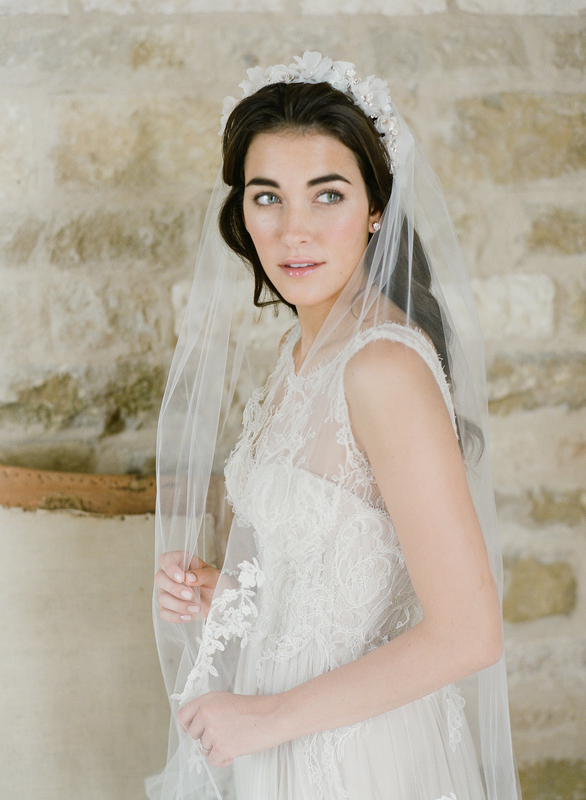 Once you have your gown, start by deciding if you’d like a plain or embellished veil. Also consider if wearing a blusher is important to you or not. You can opt for a short or long design, or even switch styles between the ceremony and reception. You have lots of options to choose from, so we’ve put together some glamorous styles to help you get started. Shine on! 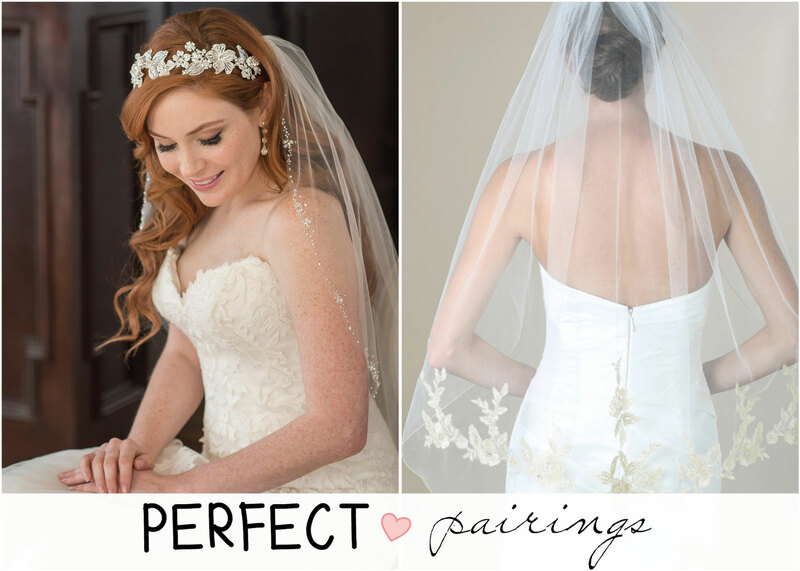 The most obvious choice for a dramatic, glamorous ensemble is a beautiful cathedral veil. 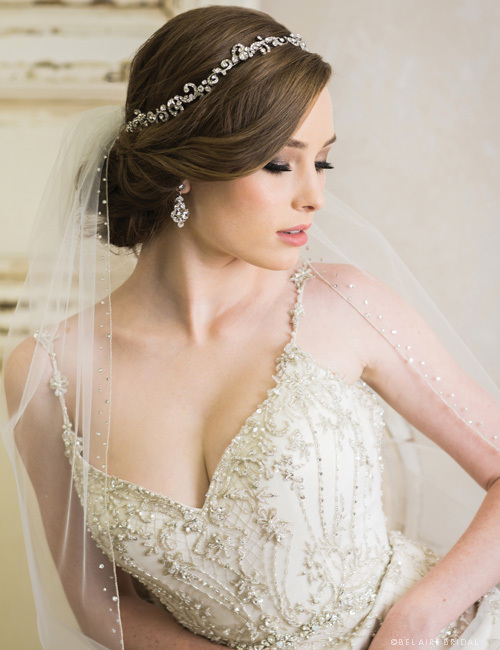 Formal and gorgeously embellished, a beaded edge veil completes your look with opulent sparkle. 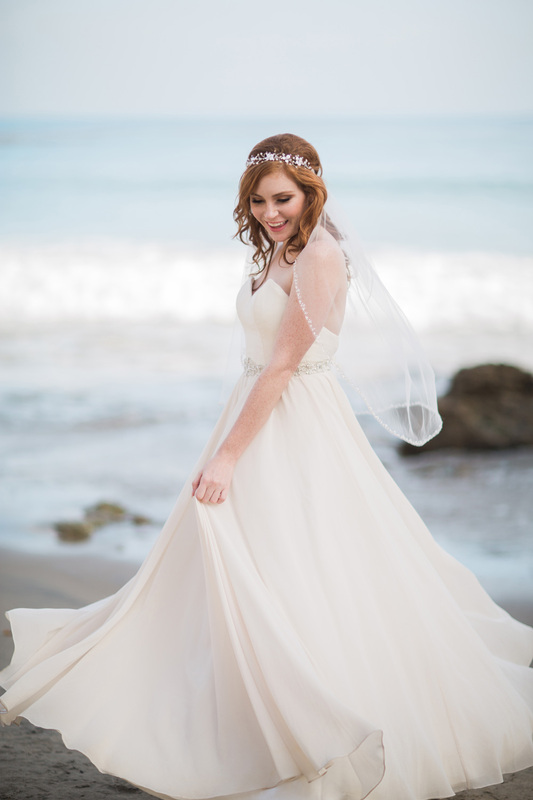 Want to match any gown? 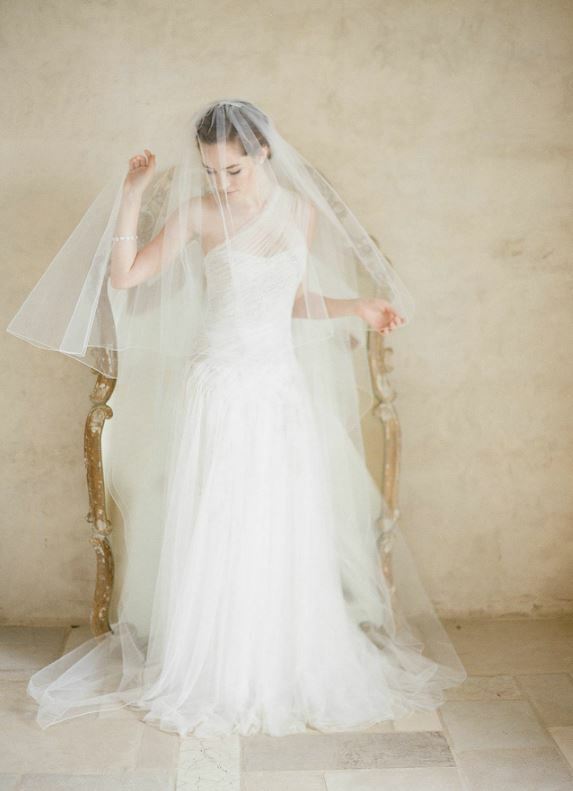 Our extra-soft luxe tulle cathedral veil is both full and long, featuring a clean cut edge that will complement any outfit with breezy elegance. A sleek, silver rolled edge and tiny, sparkling rhinestones add the perfect touch of shimmer. At fingertip length, this design creates a figure-flattering accent that beautifully enhances a stunning outfit. 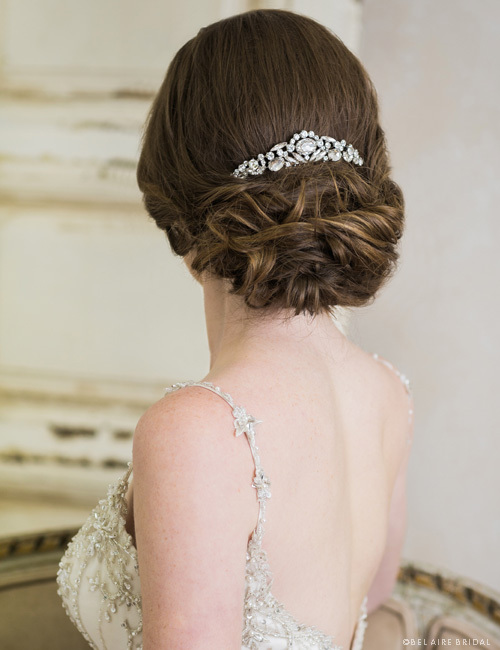 Style a beautiful, sparkly look with scattered rhinestones flowing to waltz length. 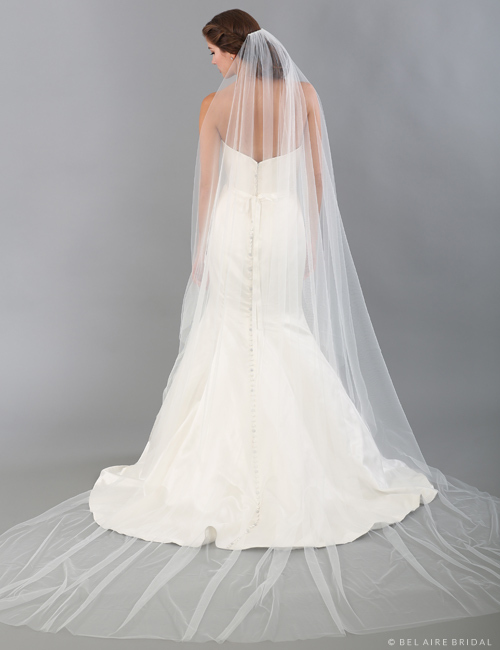 The second tier can be worn forward or back for the ceremony and reception. 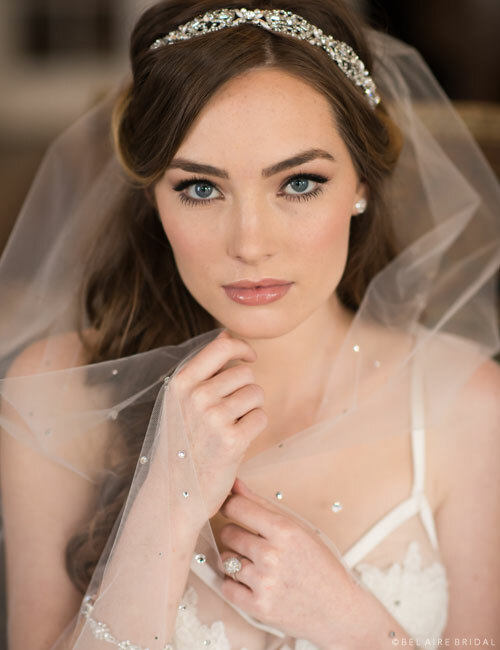 A stylish spin off the traditional mantilla, this lovely design graces your hair with a silver rolled edge and shimmering design of scattered rhinestones. Add pretty drop earrings to complete your look. 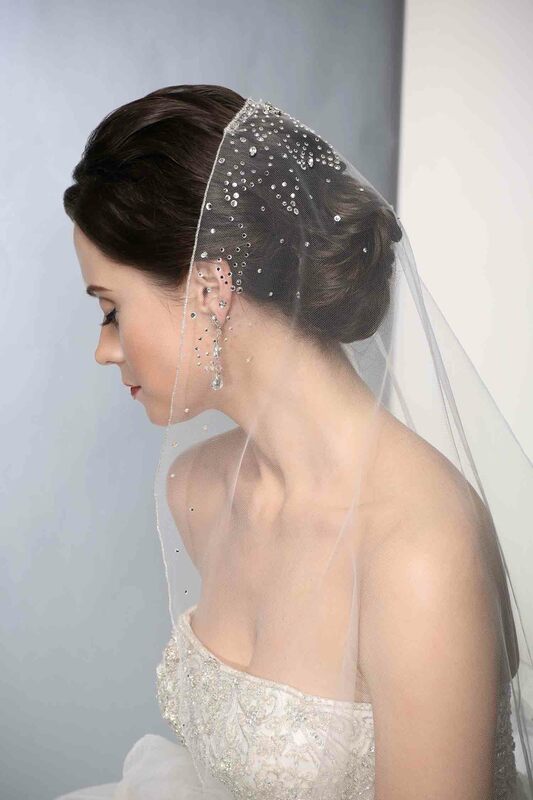 Enjoy cascading sparkle with a flattering fingertip veil practically dripping with rhinestones. This eye-catching accent catches the light for extra shine. This popular design features sparkling Swarovski rhinestones along the edge. 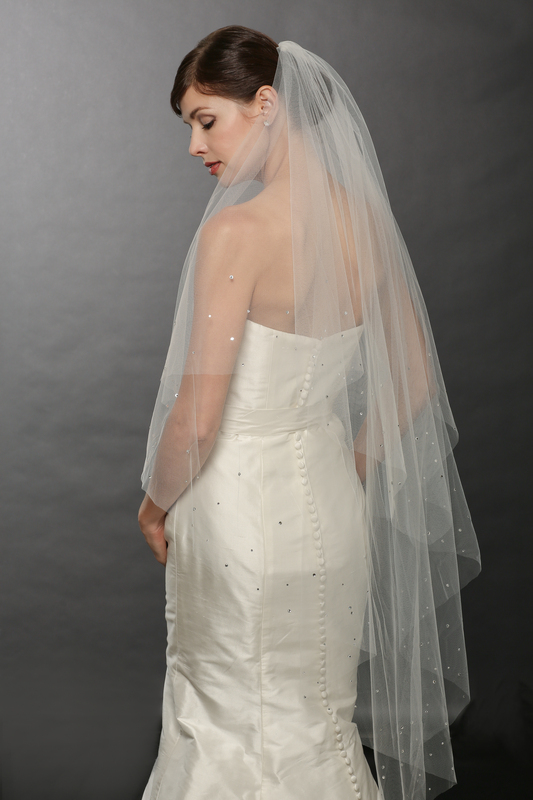 Available in any length, this veil pairs beautifully with a variety of rhinestone accessories. Want more sparkle? 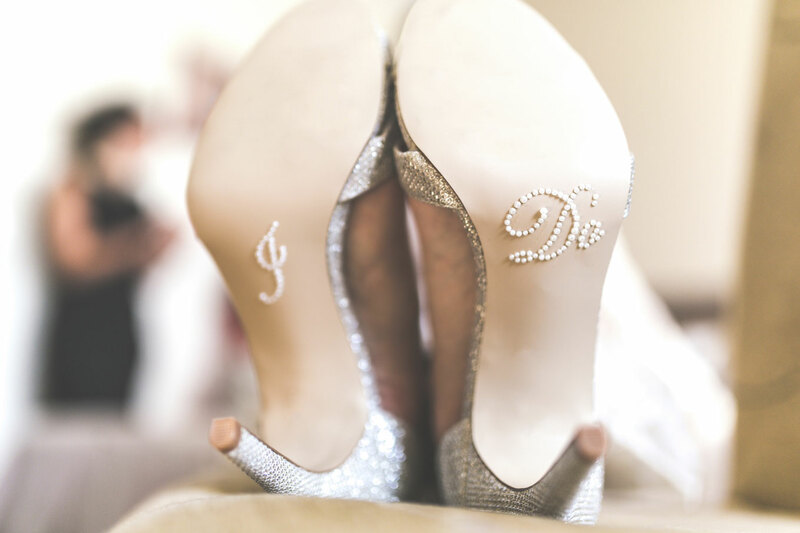 Check out our My Bridal Style: Glamorous page for inspiration, and remember to browse our jewelry and belts pages for accessories to complete your dream wedding day look. A rustic wedding celebrates love in a down-to-earth atmosphere. 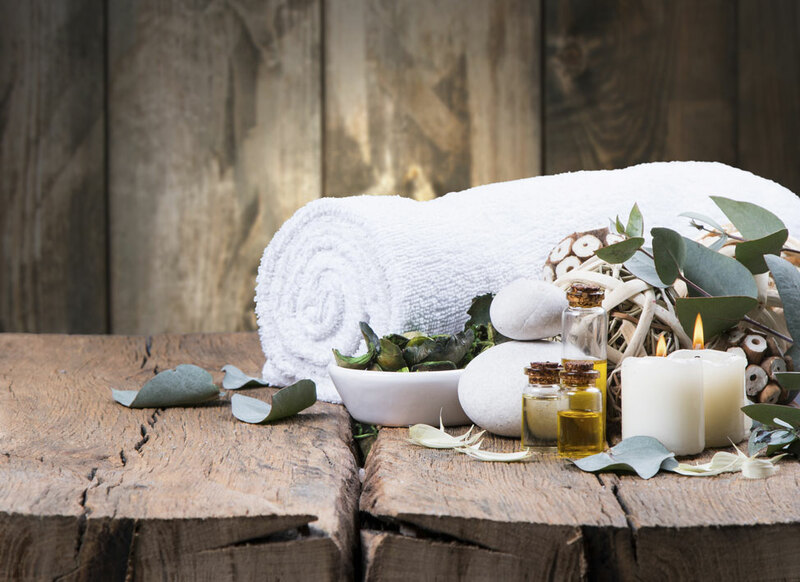 Rustic implies a crackling fire and cinnamon candles with a snowy backdrop; it evokes aged wine barrels and rustling leaves beneath a warm summer sun; it gives us visions of repurposed mason jars, burlap-covered tables, and bales of hay on a sprawling farm. This theme can be interpreted in different ways; generally, a rustic venue incorporates the rugged charm of the outdoors! Whether you’re getting married in a vineyard or the mountains, your backyard or a national park, this style of wedding is enchantingly pastoral with a family-friendly twist. 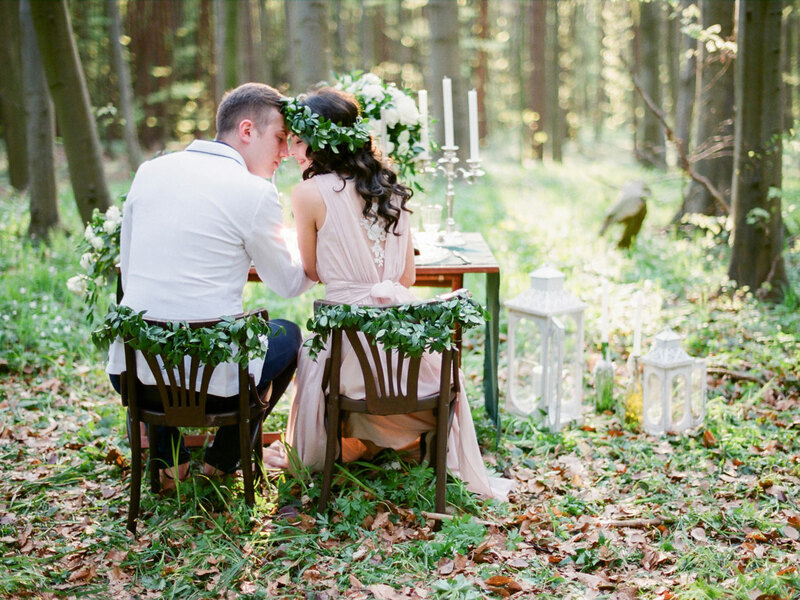 A simple, idyllic bridal ensemble completes an outdoorsy wedding theme. Discover the perfect accessories for your greatest adventure yet. Mirror nature’s autumnal beauty with golden leaves. A gilded leaf clip with rhinestone sprays glitters with rustic elegance. 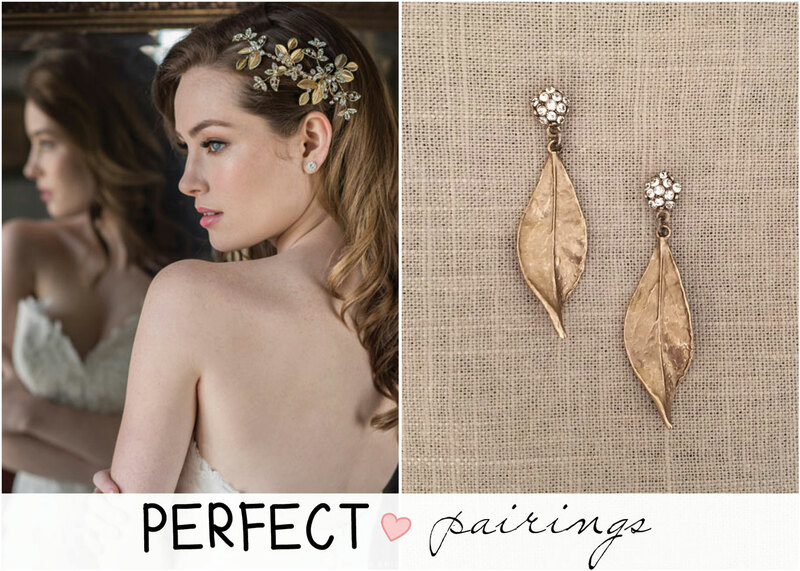 Pair it with leaf drop earrings to complete a goddess-worthy style. 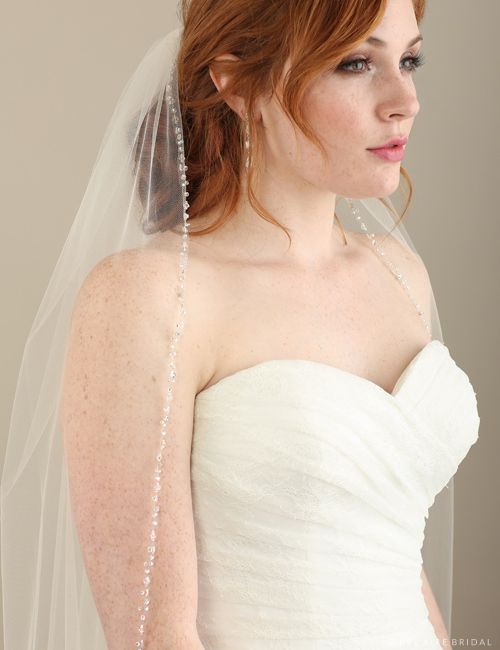 A beautiful pearl and rhinestone bridal garland creates a flexible, versatile accent for your wedding-day look. 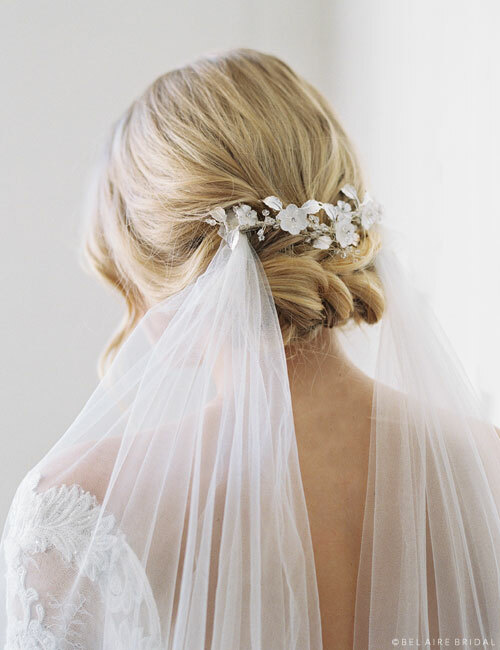 Wear it wrapped around your hair or woven into an updo! 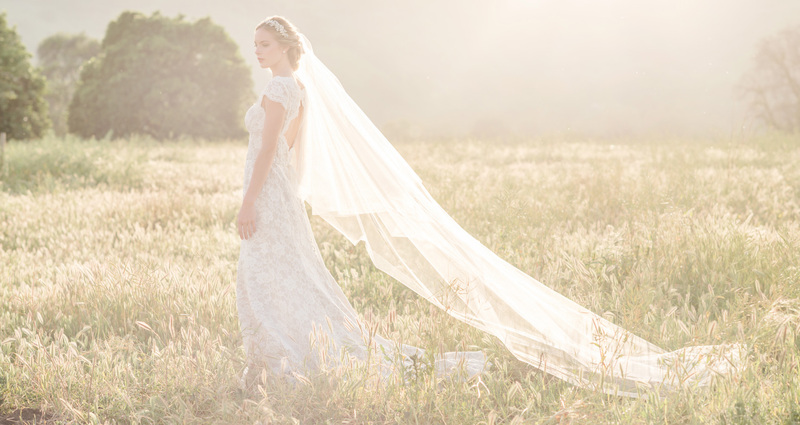 Add a graceful foldover veil to complete a carefree, ethereal style. Flowers are trending big this year! 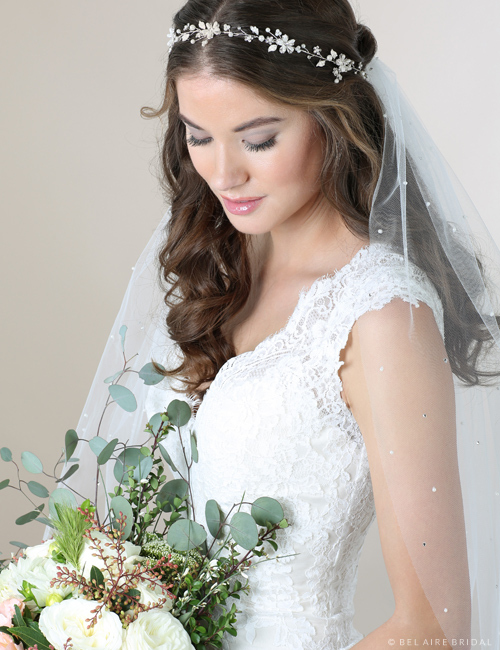 A floral crown lends an air of organic romance to your look. 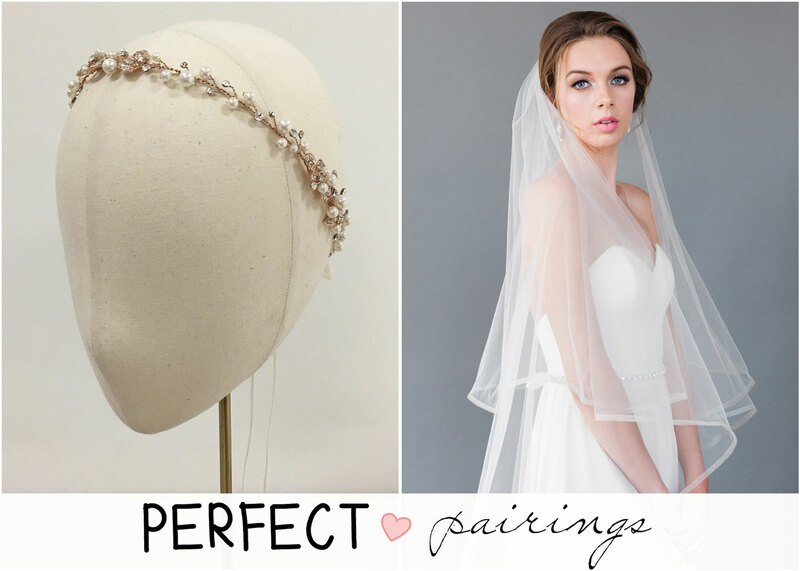 Pair this lasting headpiece with a floral lace veil for a graceful, feminine ensemble. 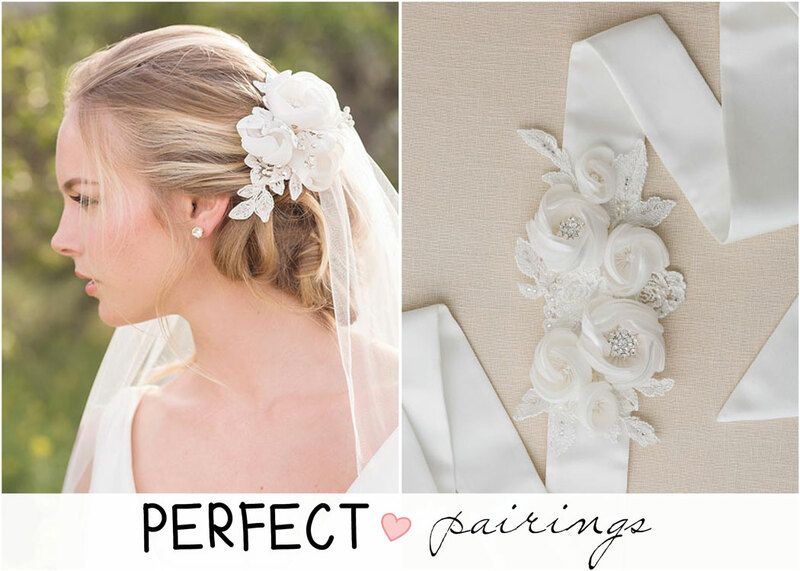 Create a classic bridal look with soft organza flower accessories. 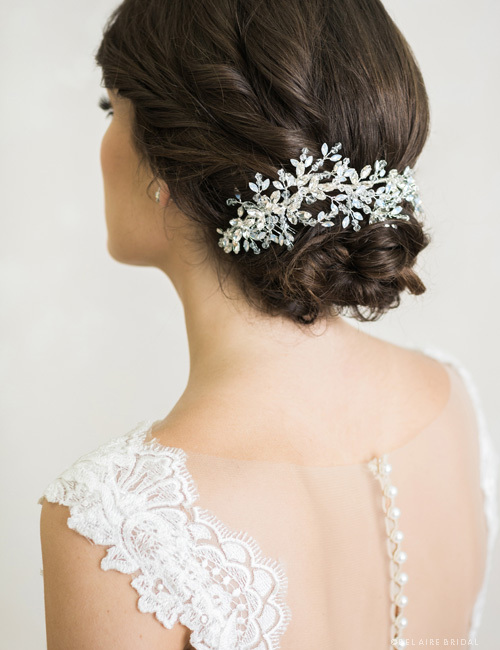 A peony comb decorated with rhinestones and lace beautifully adorns your hair with rustic charm. Add the matching belt to complete a nature-inspired ensemble. 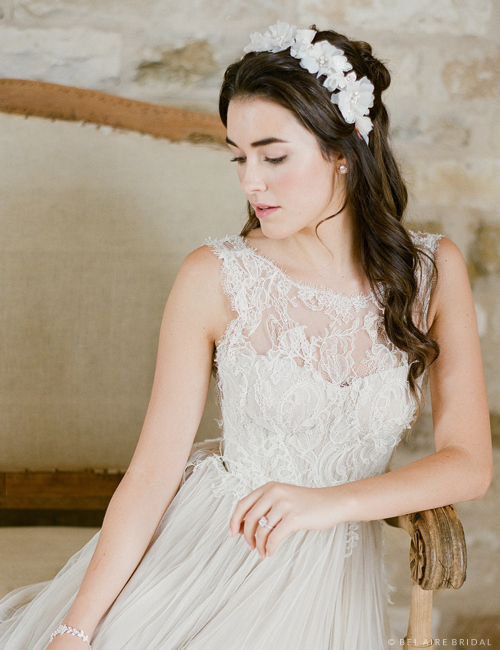 Add enchanting elegance to your rustic-chic bridal ensemble. 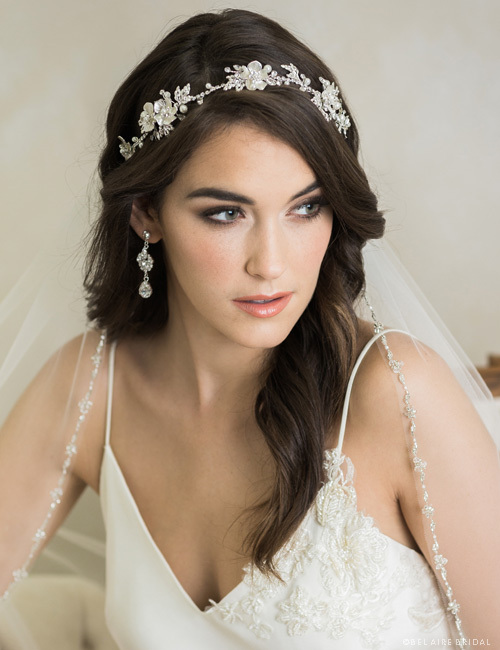 A beautiful metallic floral headpiece glitters with rhinestone accents. 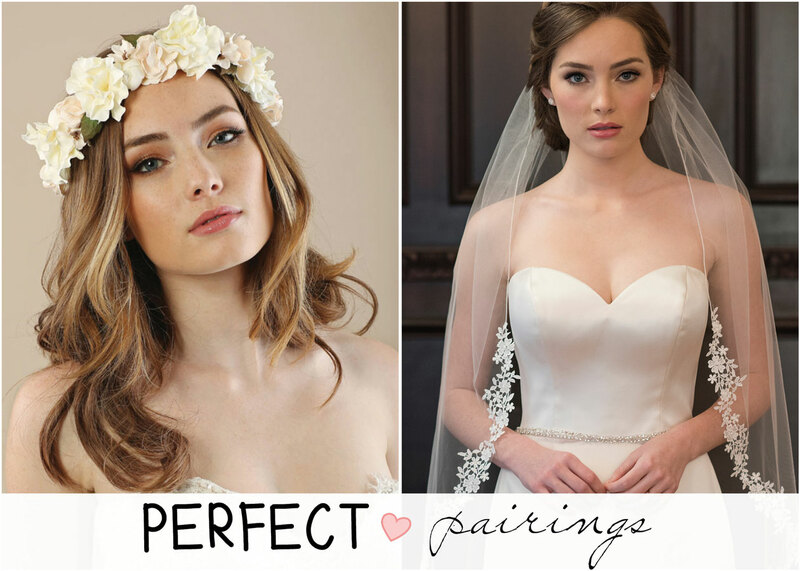 Pair it with a metallic lace veil to finish off a heart-fluttering look! 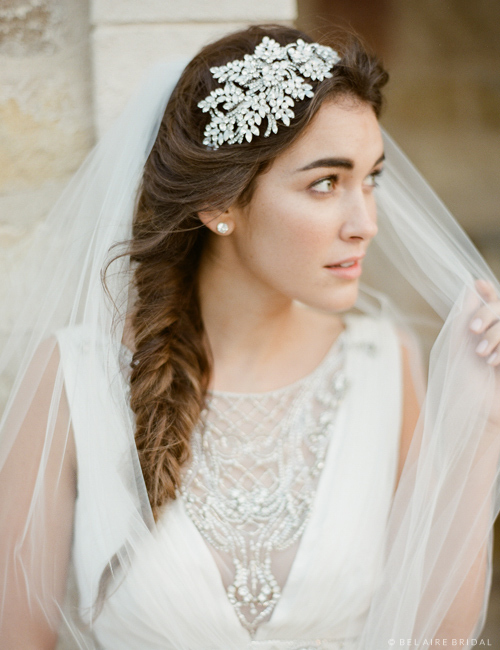 Are you ready to style your wedding day look? 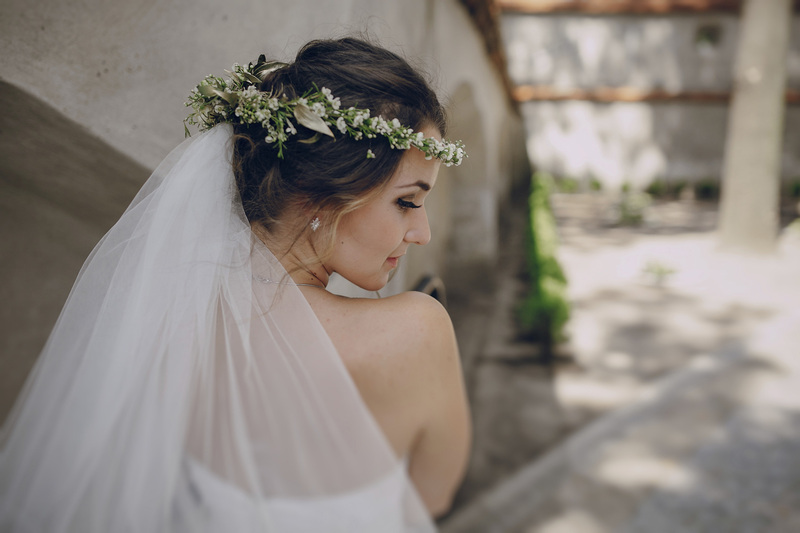 Check out My Bridal Style: Bohemian for more options, and follow us on Pinterest and Instagram for rustic wedding ideas! 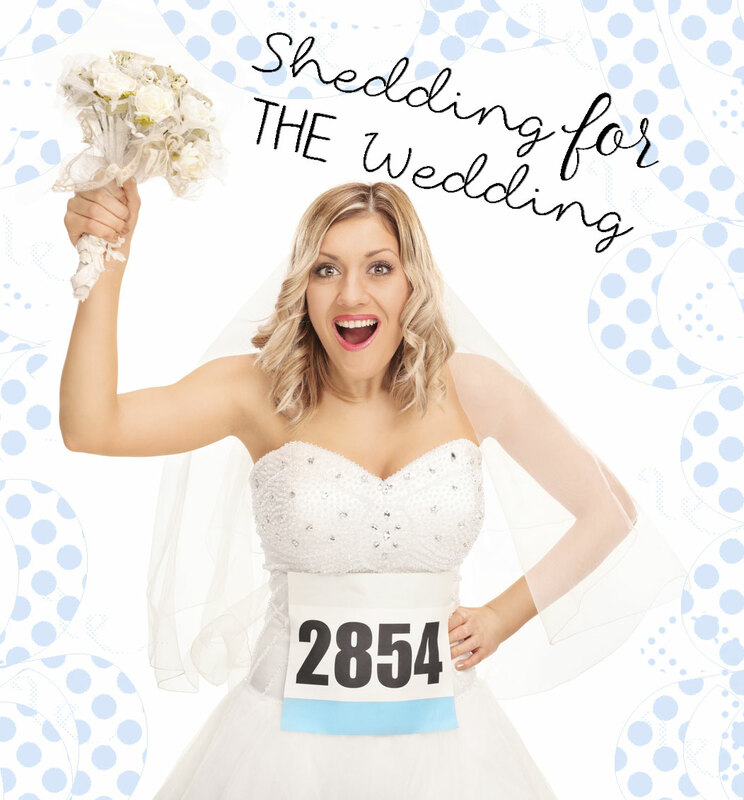 Getting married is, of course, about celebrating your love and commitment. 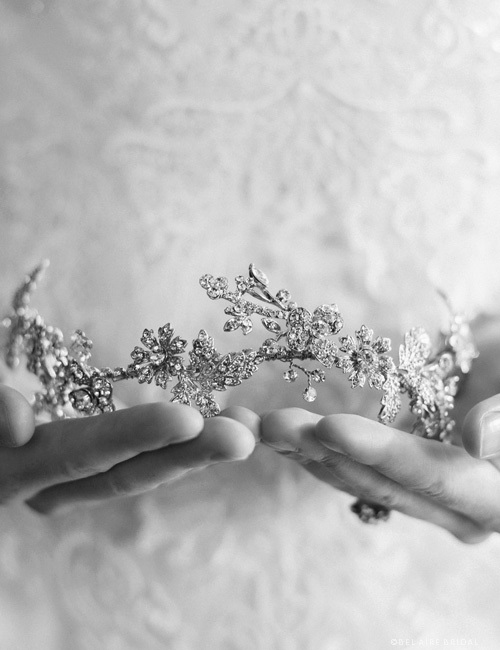 Although weddings are steeped in tradition, having one doesn’t mean you need to feel like you’re in a previous century. Modern ceremonies can incorporate everything from pop culture references to non-religious vows. Your celebration should feel special—a great way to do this is by incorporating the things you love best! 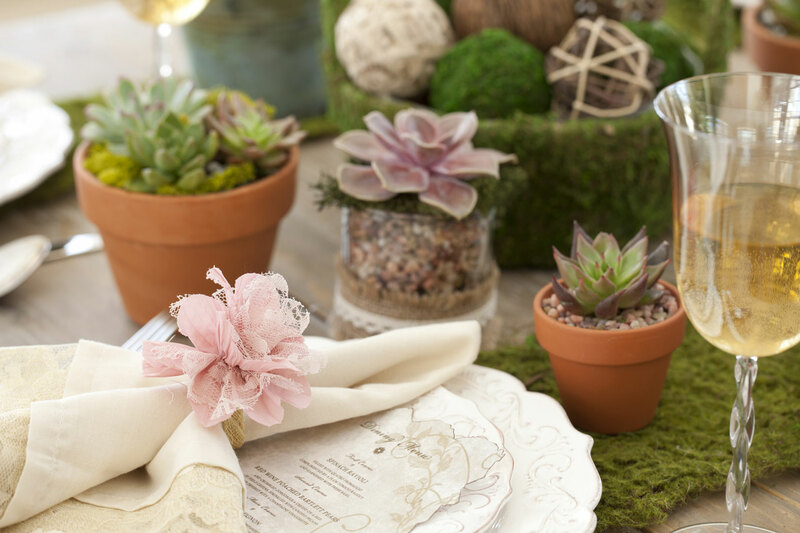 We’ve rounded up six ways to personalize your wedding in ways that are totally unique and modern. Scroll down for ideas that might work for you! While the venue you choose influences the overall feeling of your wedding, the colors and theme you select make a huge impact. For example, if your favorite color is blue, represent it in your wedding! 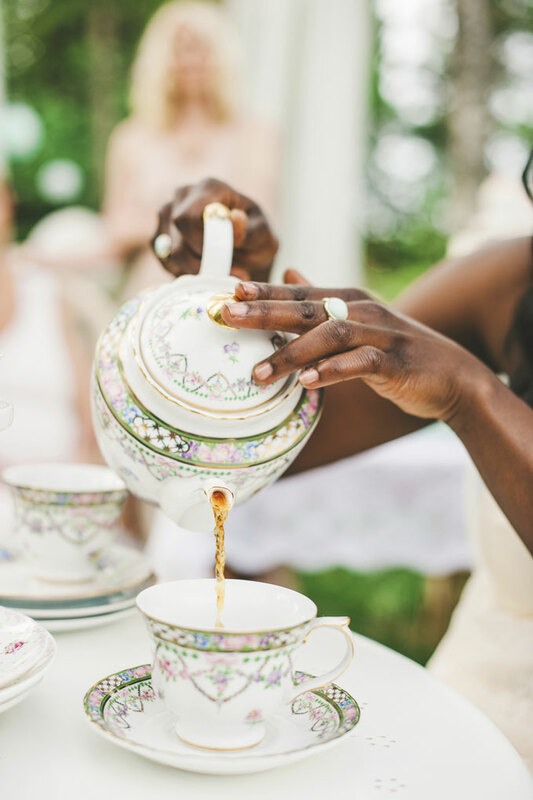 Or maybe you’re in love with a tea party theme because he proposed in a garden. From Star Wars to engineering to cupcakes—whatever your passion is, incorporate it into your décor and make the celebration truly your own. Gone are the days of the standard, multi-tiered wedding cake. (If you want one, of course you can have one—anything goes!) 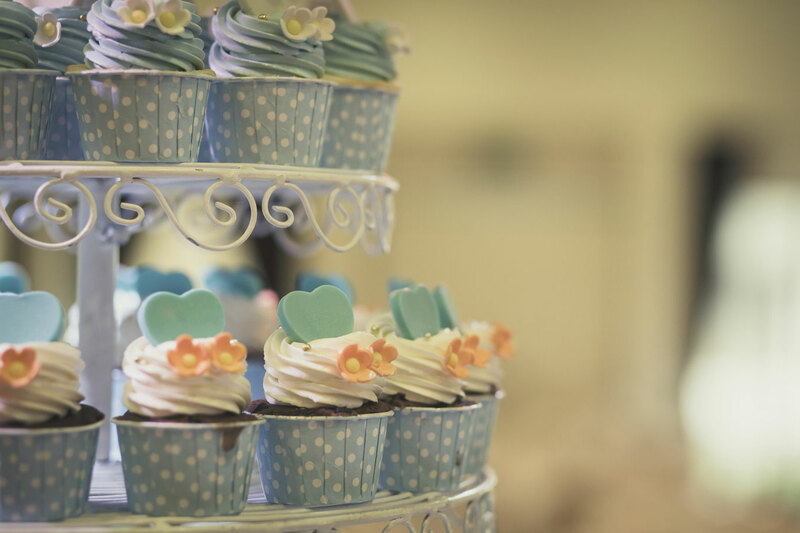 Whether you envision a table filled with desserts or a donut bar, your favorite treats can find a place at your wedding. 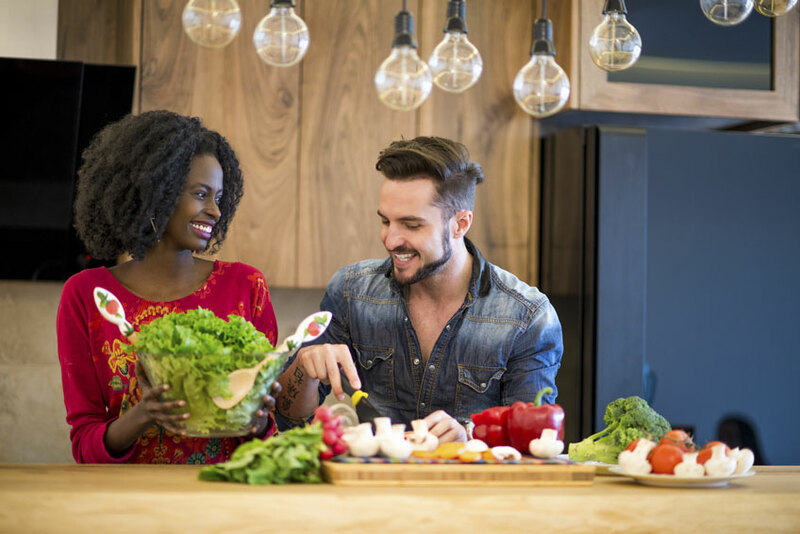 This goes for meals, too—it’s fun to serve family dishes instead of picking random courses from a caterer. Signature drinks for the bride and groom are trending, or you can feature seasonal foods and drinks. Pumpkin spice lattes, anyone? Some couples create a hashtag to collect photos from their guests, particularly from the reception. 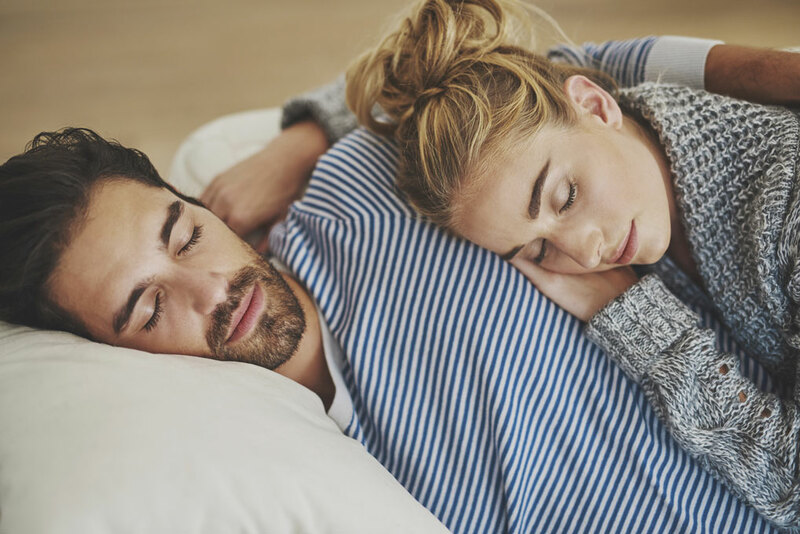 Other couples prefer to leave the work to professional photographers and videographers, so their guests can enjoy living in the moment. The decision of whether or not to allow cell phones is entirely personal. 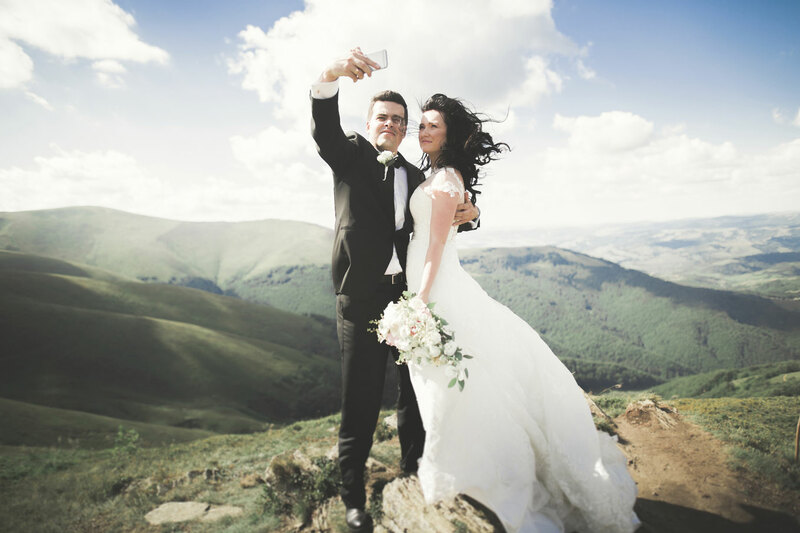 Connected weddings better include absentees and encourage sharing on social media. Unplugged ceremonies focus on in-person experiences and keep photos exclusive. Your call. These days, what you wear at your wedding is up to you. 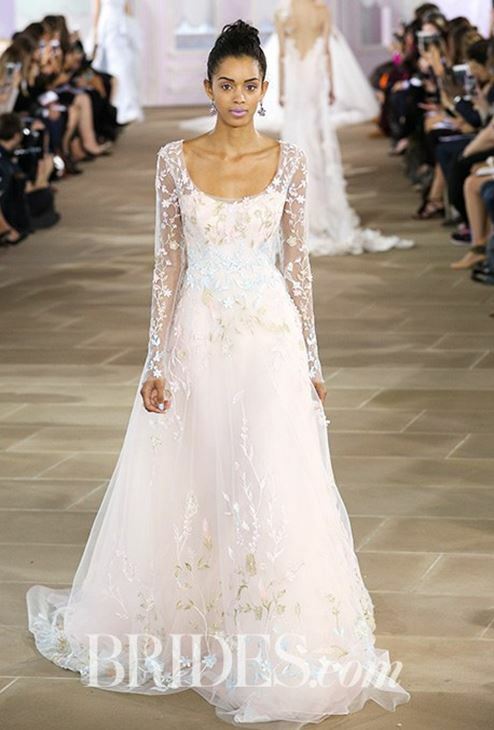 While religious traditions hold an honored place in wedding ceremonies, wedding gown designers have created gowns for every style. Big trends right now include full skirts, removable layers, off-the-shoulder necklines, and exotic laces. Keep in mind that a room full of people will be watching—but your dress doesn’t have to cover every inch of your skin, either. 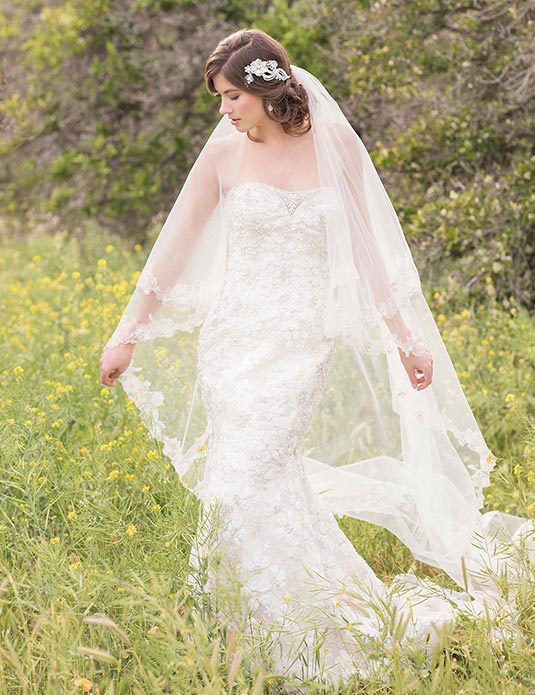 Choose a gown that makes you feel beautiful, comfortable, and very much like you. It’s the little things that count. 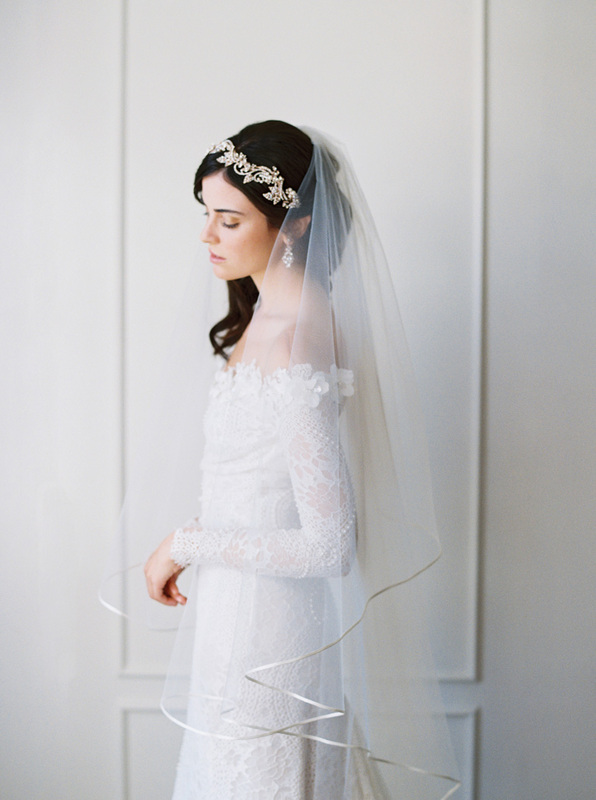 A sparkly belt, stunning shoes, a pretty clutch, or a silky shawl will make a big difference on the big day! Wear your favorite earrings, or maybe pin on a family heirloom such as a brooch. The point of something old and something new is not to fulfill superstitions, but to incorporate personal history into your wedding ceremony. 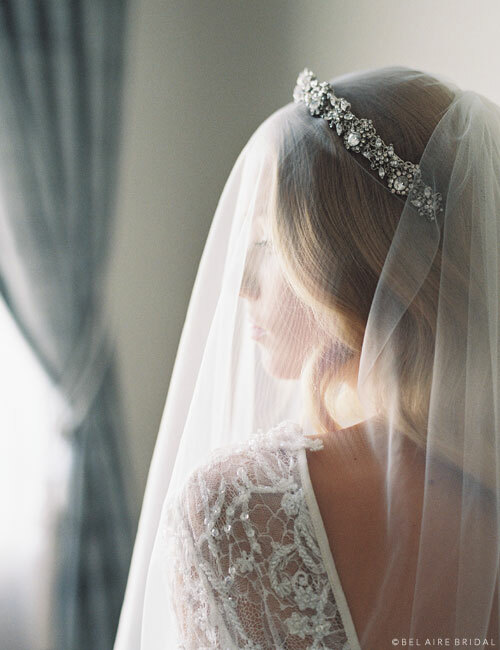 Also, coordinating a pretty veil and headpiece will really make you feel like a gorgeous bride. From flowers to dresses, it’s easier than ever to know exactly where your stuff comes from. 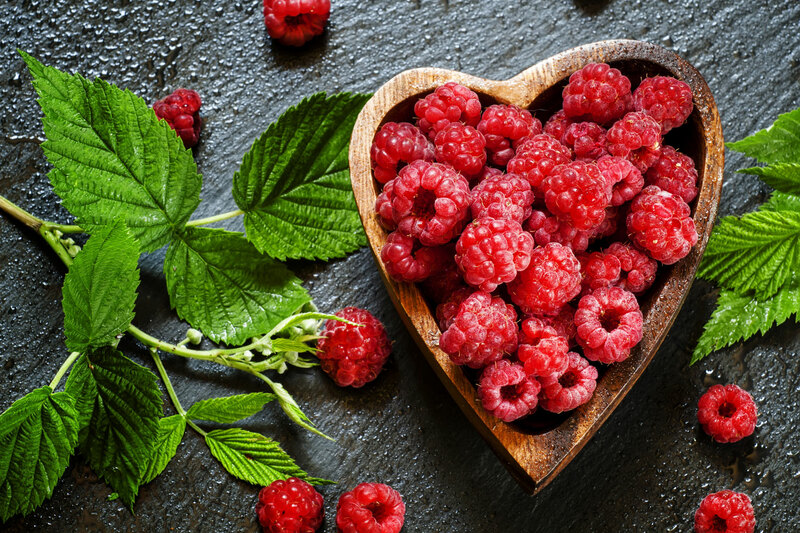 Modern weddings are all about positive choices: hire local businesses, order organic food, or gift eco-friendly favors. Reduce pollution by providing group transportation for guests. Order invitations printed on recycled paper (or go paperless). Consider asking for donations to charity on your registry. 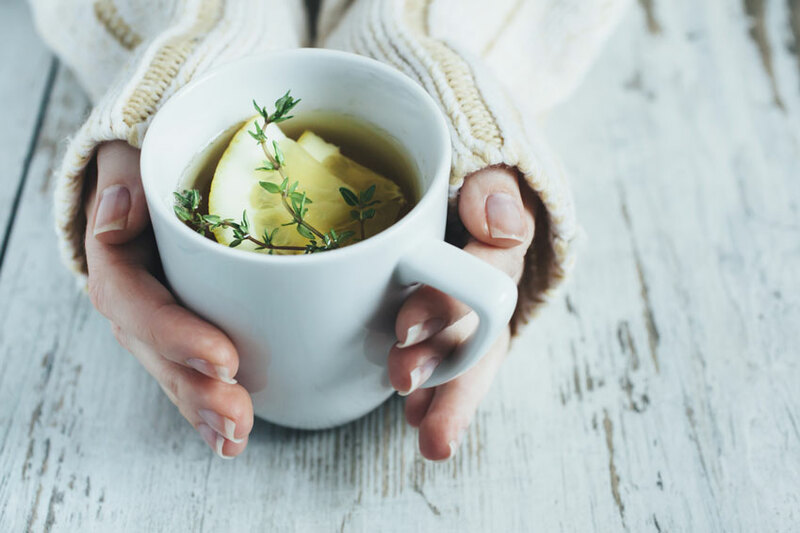 The giving-back trend focuses on doing good for the environment and your community. Are you planning a 2017 wedding? 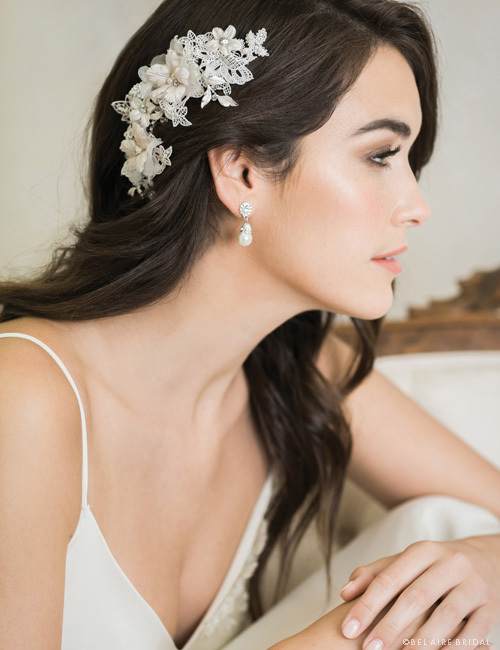 Check out our headpieces and veils for adornment options, explore My Bridal Style: Trendy, and follow us on Instagram for updates on all things bridal!